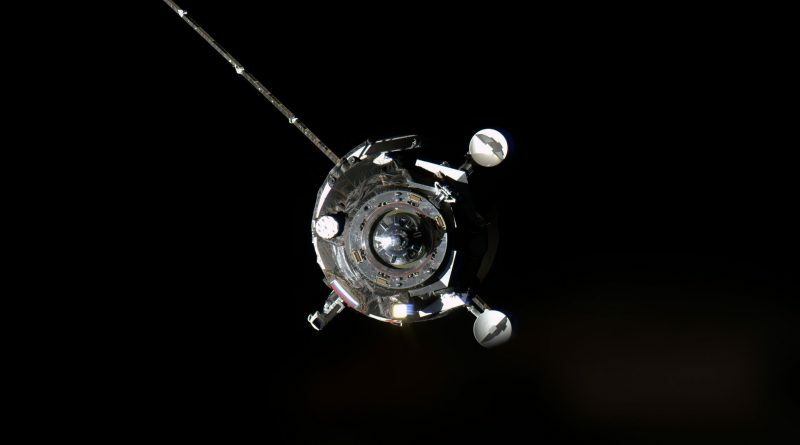 Progress MS-02 was commanded to undock from the aft port of the Zvezda Service Module at 9:37 UTC and performed departure maneuvers to drift to a safe distance from ISS for the deorbit maneuver, conducted at 12:50 UTC to set up for destructive re-entry over the Pacific Ocean. 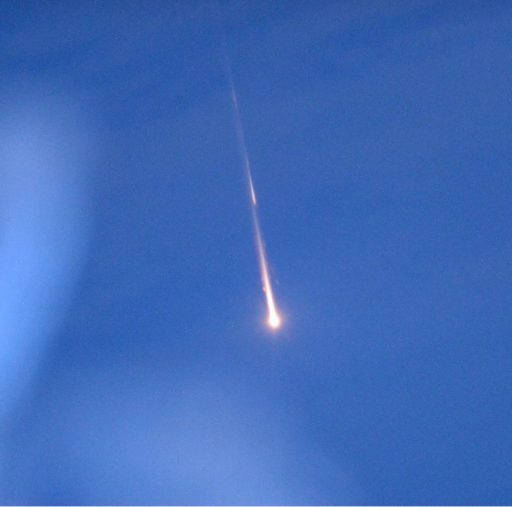 Friday’s re-entry of Progress MS-02 closes out a mission of 197 days that started on March 31st with a nighttime liftoff from the Baikonur Cosmodrome atop a Soyuz 2-1A rocket. Arriving in orbit after a flawless ascent, Progress went through a 34-orbit rendezvous with the Space Station to facilitate testing of the new systems upgrades before linking up with the Station for a fully automated docking to the Zvezda Service Module. Aboard the spacecraft were 2,425 Kilograms of cargo for the International Space Station comprised of refueling propellant transferred to ISS tanks, water, pressurized gas and dry cargo including food, hardware and experiments for the Russian Segment of the Station. Over the course of its mission, Progress MS-02 was unloaded and re-filled with trash and liquid waste while also providing propulsive support to ISS operations, conducting regular orbital reboost maneuvers, the most recent performed on September 12 to begin setting up the proper orbital geometry for the upcoming Soyuz launch and landing. 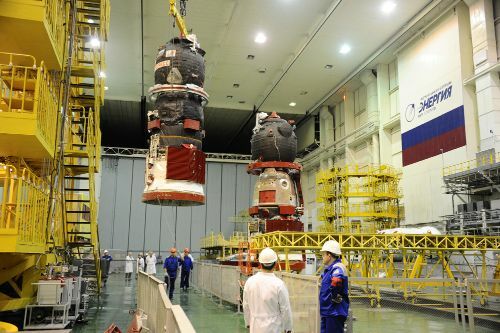 Progress MS-02 was buttoned up earlier in the week after final disposal items were placed into the pressurized cargo carrier of the spacecraft. ISS Expedition 49 commander Anatoli Ivanishin activated the spacecraft and installed its docking mechanism before removing stabilizing clamps in the hatchway and closing hatches on both sides of the interface to permit the standard leak check to be performed. The final sequence to undock the Progress started five minutes ahead of separation with the activation of the vehicle’s docking mechanism prior to issuing the Undocking Command to initiate the opening of hooks on the Progress spacecraft to be structurally demated from the Zvezda module. Loaded springs pushed ISS and Progress apart and the spacecraft drifted away passively for three minutes to open the gap to 20 meters ahead of the departure maneuver. Firing its DPO thrusters, Progress increased its opening rate to be able to move to a safe distance ahead of its deorbit burn. The KTDU-80 propulsion system was fired for three minutes and 20 seconds to slow the Progress by around 100 meters per second and set up a trajectory intercepting the atmosphere over a remote stretch of the Pacific Ocean. 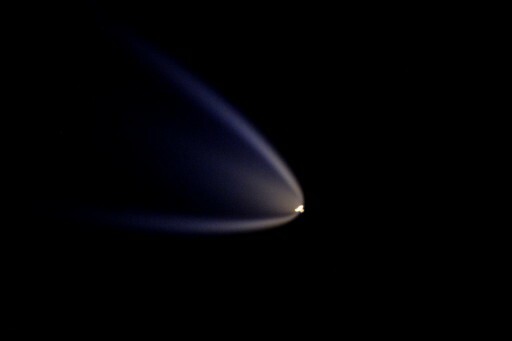 Upon hitting the dense layers of the atmosphere, Progress was expected to disintegrate to a large extent with any surviving debris impacting at 13:39 UTC away from any inhabited land masses or frequented shipping lanes. The Zvezda docking port will remain vacant for a month and a half because the next Progress mission had to be pushed to a December 1 launch date due to delays to the Soyuz MS-02 launch from September 23 to October 19. Progress MS-04 will also use the longer two-day rendezvous, expected to arrive at the Station on December 3rd as the third of the three annual Progress missions. 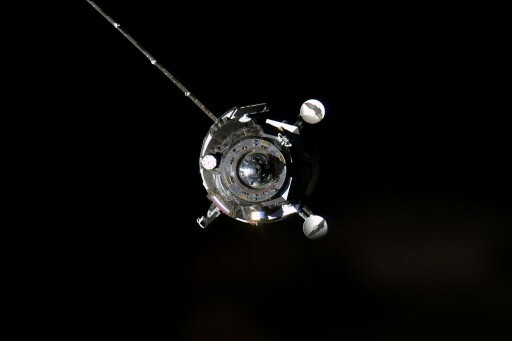 The number of Progress missions per year was reduced from four to three as a cost-saving measure and Russian operations on board ISS will be further ramped down in the first half of next year when the Russian crew aboard the station will be reduced from three Cosmonauts to only two resident crew members on the Russian Segment. 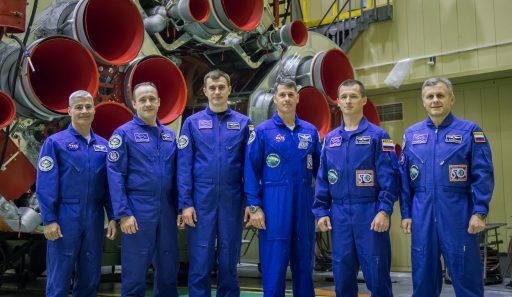 The proposal of reducing the Russian crew size on ISS was brought forward by the Roscosmos State Corporation earlier this year for evaluation by the international partners. 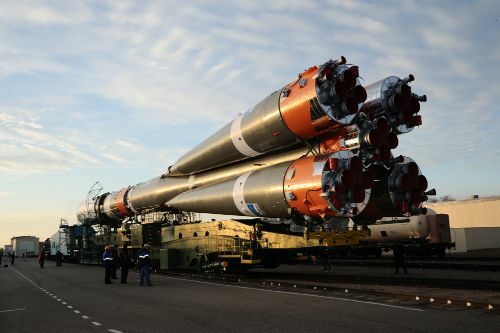 Roscosmos deems a three-Cosmonaut crew is not necessary with the current workload on the Russian Segment, in part due to the continued delays of the Multipurpose Laboratory Module that would give the Russian Segment a large science facility and a third sleeping station. 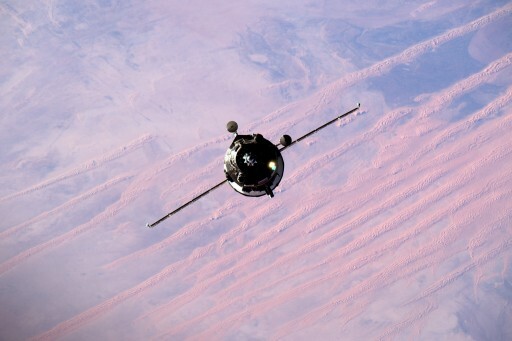 Another factor is the troubled Russian budget for its space sector and having empty seats on Soyuz flights could bring in revenue when hosting Space Tourists or commercial crew members. However, at least one of two empty seats in 2017 will be used to fly cargo to the Station; the other may be occupied by a commercial crew member if a trained astronaut can be found and the necessary funds secured. Roscosmos is currently in the process of reshuffling crews flying to ISS in 2017, requiring coordination with the international partner agencies. Friday’s Progress MS-02 departure marked the start of a busy period of Visiting Vehicle operations at ISS with fresh cargo inbound to the U.S. Segment and a crew exchange on tap for the remainder of the month. 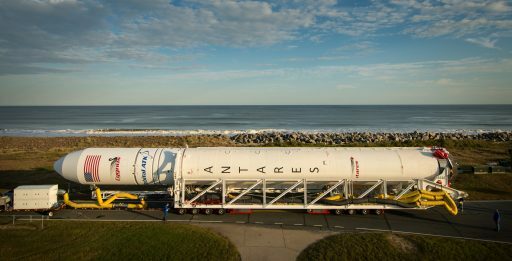 Aiming for a Sunday night liftoff from the Wallops Flight Facility, Orbital ATK rolled out its Antares rocket on Thursday to prepare for the return to flight mission of the company’s Antares/Cygnus cargo system after a two-year stand-down following a 2014 launch failure. 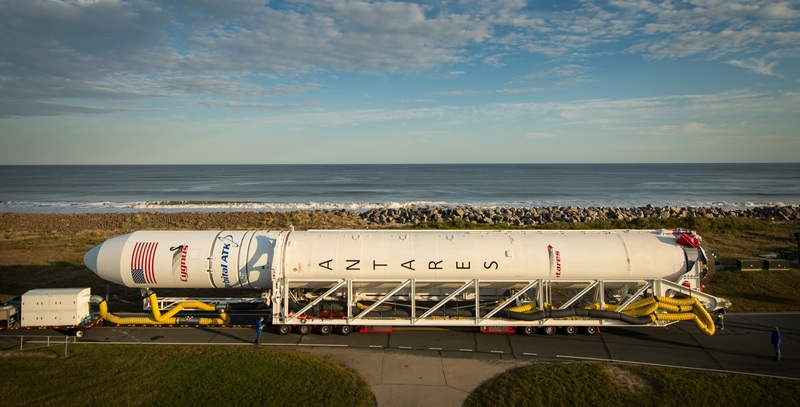 Cygnus, carrying over 2,300kg of supplies, is set for rendezvous on Wednesday to be captured by the Station’s robotic arm and berthed for a stay of over one month. 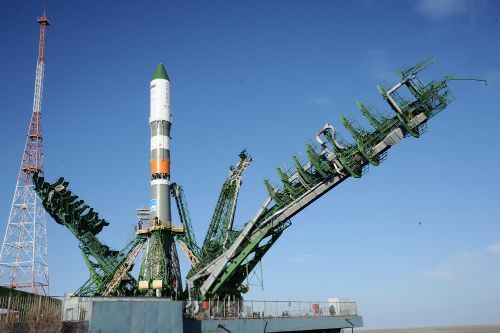 The next crew launching to the Space Station is set for liftoff at 8:03 UTC on Wednesday atop a Soyuz rocket blasting off from the Baikonur Cosmodrome, coming after a four-week delay caused by a technical issue on the Soyuz MS-02 spacecraft. 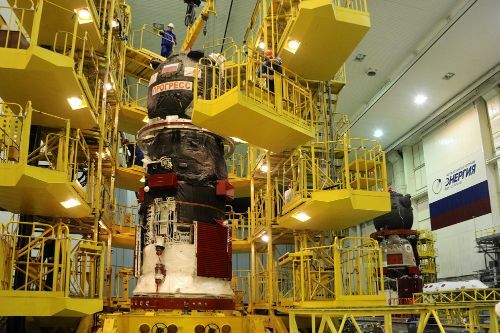 Soyuz will stick to the longer two-day rendezvous for testing of the new Soyuz MS upgrades in an operational flight environment, docking to ISS on the 21st. The combined Expedition 49 crew will only get nine days for handover operations before the Soyuz MS spacecraft will depart with crew members Anatoli Ivanishin, Takuya Onishi and Kate Rubins for an early morning landing in the Kazakh steppe on October 30.